We’d love your help. 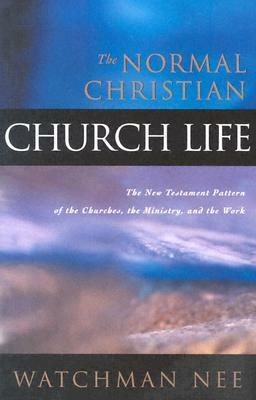 Let us know what’s wrong with this preview of The Normal Christian Church Life by Watchman Nee. 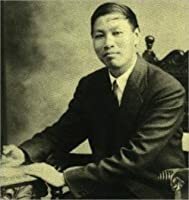 During conferences held in Shanghai and Hankow, Watchman Nee spoke to his fellow workers on the principles in the New Testament concerning the practical arrangement of the churches, the ministry, and the work. To ask other readers questions about The Normal Christian Church Life, please sign up. Extraordinarily detailed and scholarly writing by famed Chinese Christian of doctrines from the book of Romans. Due to the age of the text (approximately 80 years), the modern reader will need to re-read many passages to get the full value from the text. It's worth it. Modern writings seem like skimmed milk compared to the cream-rich writing of Watchman Nee. Details what amount to good, better and best doctrines of the Christian's dying to sin and self. Note to potential readers: this ebook editio Extraordinarily detailed and scholarly writing by famed Chinese Christian of doctrines from the book of Romans. Due to the age of the text (approximately 80 years), the modern reader will need to re-read many passages to get the full value from the text. It's worth it. Modern writings seem like skimmed milk compared to the cream-rich writing of Watchman Nee. Nee always has great things to impart. Here he takes an organic approach to church life that's refreshing and for the most part unpracticed by most modern churches. It's a revelation that's challenging and radical. I loved this book! I felt the he unlocked the mysteries of Romans and I can't wait to read it again.